Sometimes Confusion Is A Good Thing : 13.7: Cosmos And Culture Though confusion can be bad, it's likely to benefit learning when it's related to the material you're trying to understand — and when you have the support to work through it, says Tania Lombrozo. Confusion gets a bad rap. A textbook that confuses its readers sounds like a bad textbook. Teachers who confuse their students sound like bad teachers. But research suggests that some of the time, confusion can actually be a good thing — an important step toward learning. Consider a 2004 study in which participants learned basic computer literacy from an automated tutoring system. As they worked through the lessons, researchers coded which of several emotions they seemed to exhibit, including confusion and boredom. Analyses revealed that learners who spent a greater proportion of the lessons in a state of confusion exhibited significantly greater gains in learning. Boredom, by contrast, was associated with lower gains in learning. In another study, published last year, students learned about scientific reasoning and experimental design by hearing a dialogue between two other people who sometimes endorsed incorrect or contradictory claims. Students who were confused by the contradictions — as reflected in inconsistent responses on subsequent questions — ultimately did better on a final test assessing whether they learned the key points from the lessons. So it appears that confusion is associated with learning, at least under some conditions. But why? One possibility is that confusion is not itself beneficial, but rather a marker that an important cognitive process has taken place: The learner has appreciated some inconsistency or deficit in her prior beliefs. But another possibility is that confusion is itself a step toward learning — an experience that motivates the learner to reconcile an inconsistency or remedy some deficit. 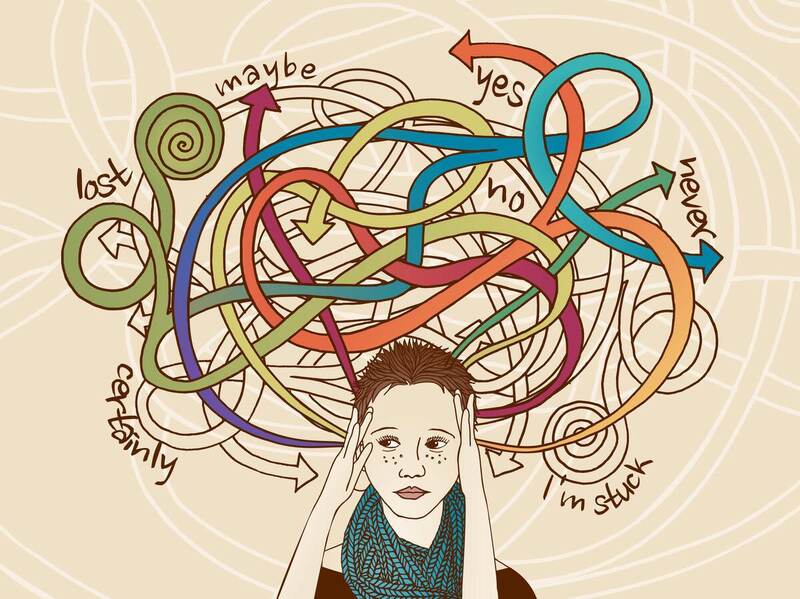 In this view, confusion isn't just a side effect of beneficial cognitive processes, but a beneficial process itself. Supporting this stronger view, there's evidence that experiencing difficulties in learning can sometimes be desirable, leading to deeper processing and better long-term memory. Of course, confusion isn't always a good thing. Sometimes a textbook is truly terrible, or a teacher impossible to understand. Being confused by something irrelevant to what you're trying to learn (like why the teacher is wearing mismatching shoes) is unlikely to help you learn the content you're after. Moreover, experiencing confusion without the resources to resolve that confusion could lead to frustration and disengagement. So confusion is likely to benefit learning under specific conditions: when it's related to the material you're trying to understand, and when you have the necessary support to work through the confusion — whether that support comes from your own skills and prior knowledge or from other people or resources. The relationship between confusion and learning might not be news to children and to scientists, who are both in the business of novel discovery. In the course of development, children have to discover basic aspects of the social and physical world for themselves. And in the course of doing science, scientists push the boundaries of what we know. I suspect that both children and scientists also share the distinction of spending a great deal of time in some state of confusion. "Focusing on important questions puts us in the awkward position of being ignorant. One of the beautiful things about science is that it allows us to bumble along, getting it wrong time after time, and feel perfectly fine as long as we learn something each time." Schwartz was writing about feelings of ignorance and stupidity, but he could have been writing about confusion. Like feeling stupid, feeling confused can be aversive. But it's also a signal that we're on the path to learning, and that's an outcome to embrace.